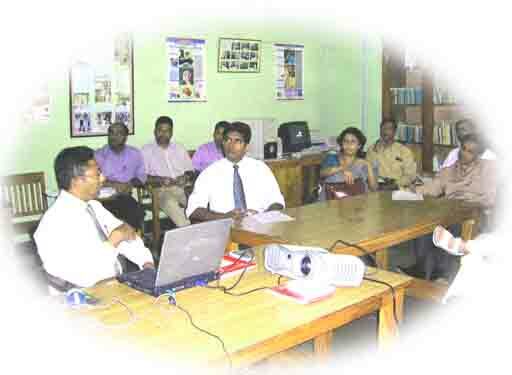 The department also plays a central role in post graduate training in psychiatry in Sri Lanka. It is one of the national postgraduate centre which prepares postgraduates fro the MD (Psychiatry ) part I and II examinations and offers post MD part I clinical training and post MD part II senior registrar training. Senior Lecturers of the department are members of the Board of Study in Psychiatry of the Post Graduate Institute of Medicine (PGIM ) Its members are examiners at the MD (Psychiatry ) part I and II examination. It organizes and conducts postgraduate classes and programs. The department holds a regular weekly journal club and case presentation for trainees of the Peradeniya, Kandy and Kurunegala trainees.